Presidential election to pick Nigeria’s leader to succeed President Ibrahim Babangida commenced on this day in June 1993 with a massive turnout. Two candidates from two registered political parties, the Social Democratic Party (SDP) and the National Republican Party (NRC), were contesting the election, which observers said would change Nigeria’s political history. Businessman and philanthropist, Abiola, was contesting the presidency on the platform of the SDP with Alhaji Bashir Tofa for the NRC. More than 14 million persons voted in the election, which was expected to end the long stay of the military in political power. Abiola stood for the presidential nomination of the SDP and beat Ambassador Baba Gana Kingibe and Alhaji Atiku Abubakar to secure the presidential nomination ahead of the June 12, 1993, election. Abiola had managed to work his way out of poverty through hard work and symbolised the aspirations of many downtrodden Nigerians. His commitment to the plight of ordinary Nigerians included establishing Abiola Bookshops to provide affordable, locally-produced textbooks in the 1980s when imported textbooks became out of the reach of ordinary Nigerians as the naira was devalued. He also made available daily necessities such as rice and soap at affordable prices in the market. For the June 12, 1993, presidential election, Abiola’s running mate was Kingibe. 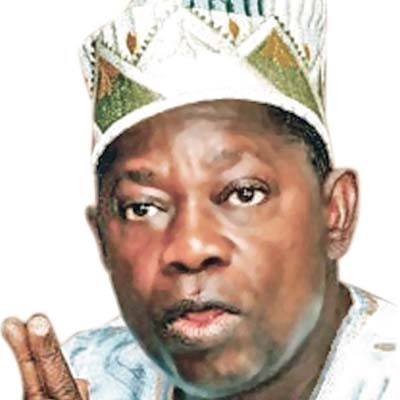 Abiola overwhelmingly defeated his rival, Tofa of the NRC. The election was declared Nigeria’s freest and fairest presidential election by national and international observers, with Abiola even winning in his northern opponent’s home state. Abiola won in the country’s capital, Abuja, the military polling stations, and over two-thirds of Nigerian states. The reason why the election was so historic was because men of northern descent had largely dominated Nigeria’s political landscape since independence. The fact that Abiola (a southern Muslim) was able to secure a national mandate freely and fairly remained unprecedented in Nigeria’s history. However, the election was annulled by Babangida. A political crisis ensued, which led to General Sani Abacha seizing power later that year. During preparations for the 2011 Nigerian presidential election there were calls from several quarters to remember MKO Abiola. Aren’t there Nigeria-minded Nigerians anymore?